When it comes to social media, Coca-Cola‘s advice is king. 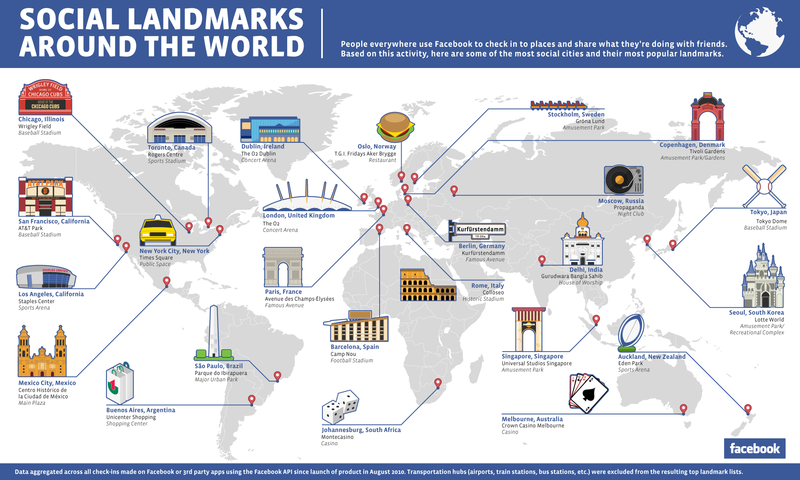 With more than 53 million Facebook fans, Coke is the largest consumer brand on Facebook. 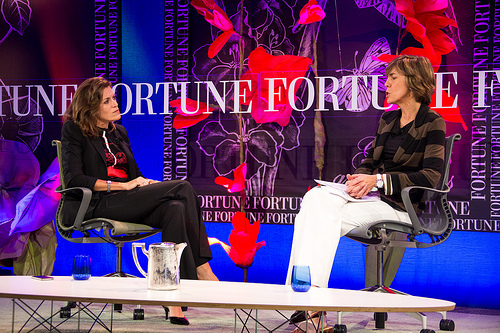 Wendy Clark, SVP of Integrated Marketing Communications and Capabilities at Coca-Cola, was interviewed at the Fortune Most Powerful Women Summit earlier this month. During her flight on her way to the Summit, Clark emailed her ideas to her interviewee, Patricia Sellers, of Fortune. After her interview, Clark (left) agreed to share her intelligent, helpful advice to the world! So much is made of social media and marketing that we can tend to overrate what it can do. We do not see social marketing as a standalone. Rather, our mantra for our media and connections planning is “social at the heart.” So we think in terms of ideas and campaigns that are social (share-worthy) at their core and then we think about how we can amplify the ideas and campaigns. Too often, we get asked if our TV investment is declining and our social/digital investment growing. This is the wrong question. It’s not an EITHER, it’s an AND. With 72 hours of content uploaded every minute on YouTube (GOOG), the world is not suffering from lack of content. With this in mind, content creation has to be useful, interesting, important, share-worthy. We learned this in seeing the difference in interaction level between status updates and Tweets that we wrote vs. those that our agencies wrote. We also learned that replication isn’t always a good thing in social marketing. When we had a hit viral video in Coca-Cola Happiness machine, our first instinct was to replicate the film. We did that and had a fraction of the views. Click here to read the original article by Patricia Sellers. On October 8th, Bodyform, a U.K. maxipad maker, received a negative post on its Facebook wall. This post, which has now gotten more than 92,000 likes, called out the brand for false advertising. 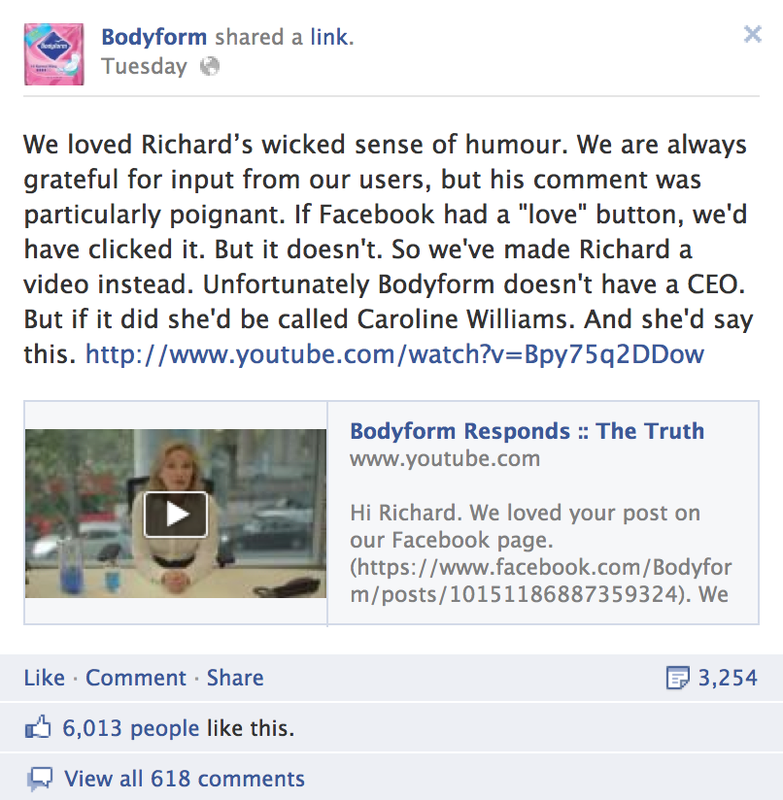 Instead of ignoring the post or replying with an automated apology, Bodyform creatively one-upped the post, made by Richard Neill, with a video. The video goes on to facetiously explain why Bodyform has used metaphorical images in advertising rather the focusing on the truth of menstrual cycles. Not every brand would feel comfortable doing something like this, or would have the skill and creativity to pull it off, but this a great example of what social engagement looks like. We think it’s brilliant! What are your thoughts? In 1921, psychologist Carl Jung published Psychological Types. His theories presented in this book helped formulate a psychometric test called the Myers-Briggs Type Indicator. This test was used to categorize the psychological types of humans into 16 major divisions. Still in use today, the results determine whether test takers tend toward certain character traits, such as introversion (I) vs. extroversion (E) or thinking (T) vs. feeling (F). The metrics produce an acronym per individual. For example, “ISTJ” is for an Introvert-Sensing-Thinking-Judging person. The infographic below, based on the Myers-Briggs personality assessment, details the qualifiers for each of the test’s characteristics. It also predicts the psychological types most likely to participate on specific social networks. More extroverts reported using Facebook than introverts, for instance. People with inclinations toward Feeling spend more time browsing and interacting with people on Facebook, rather than those who tend toward Thinking. According to the infographic, what type of social media personality are you? A recent social media survey from Performics, a performance marketing firm, shows that 33 percent of people are most likely to respond to brand offers when they are reposted by a friend. The study shows that 27 percent will respond on the brand’s page, 26 percent from the newsfeed, and 20 percent from a social ad. The study also provided insight about branded content engagement: 44 percent of Facebook users are most likely to engage with branded content containing images, roughly 40 percent of users said they are likely to engage with status updates and 37 percent said they are likely to engage with videos. These statistics are based on the Performics Life on Demand social media survey, which studied 2,000 Americans who visit a social networking site at least once a day. Whether you haven’t switched your Facebook profile to Timeline format or you’re already a Timeline pro, check out Grovo’s quick video-based tips for making your Facebook presence just right. Grovo has video lessons on everything from controlling privacy to exporting Facebook birthdays and calendar events. 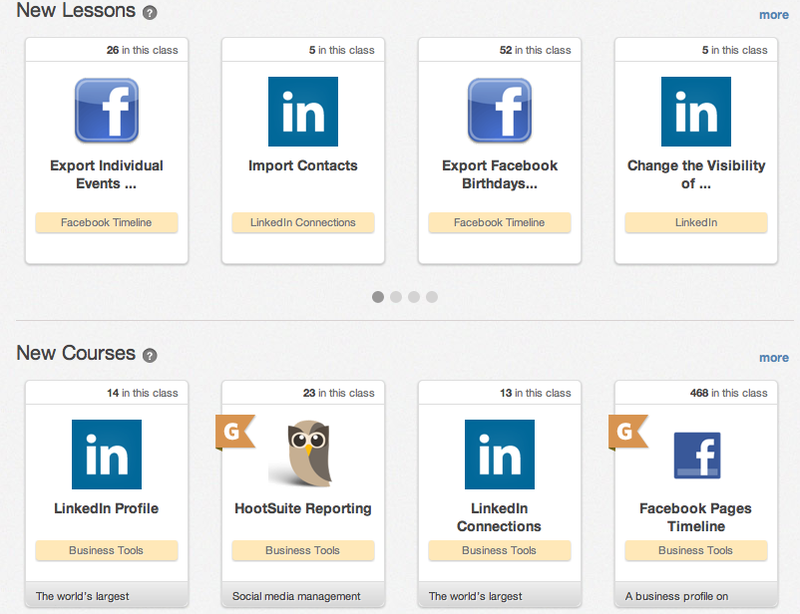 The screenshot below shows”New Lessons” and “New Courses” Grovo offers. Let us know what you think. Did Grovo increase your Facebook knowledge? I recently started reading The Social Media Bible, by Lon Safko. I highly recommend this book to everyone; it’s full of great insight and interesting facts. Below are a few quotes I felt were worth sharing! Ever wonder how Facebook ensures that its more than 900 million users abide by the company’s user policies? This issue requires the work of hundreds of employees. Based in Menlo Park, Austin, Dublin, and Hyderabad, these hundreds of employees field user reports of inappropriate posts constantly. Reports of inappropriate content, which users submit themselves with just a few clicks, are directed to one of four support teams. 1. Abusive Content Team: This team handles spam and sexually explicit content. 2. Safety Team: This team handles threats of vandalism, graphic violence, credible threats of violence, and illegal drug use. 3. Hate and Harassment Team: This team handles reports of hate speech and harassment. 4. Access Team: This team handles hacked and impostor accounts. If the reported content is found to be a violation of Facebook’s policies, Statement of Rights and Responsibilities, or Community Standards, the content is removed and the publisher is warned. Facebook’s support teams can also block users who post inappropriate content or ban them from certain features. Some content on Facebook violates not only the company’s polices, but the law. For example, one law enforcement agency discovered photos of a man siphoning gas from a police car on the sight. Others have discovered stolen property, calls for help, and even live-crime updates on Facebook.